We just thought it was interesting to note this video clip from the movie Network is even more relevant than it was thirty years ago when the movie debuted. This is the movie that gave us the famed line, 'I'm as mad as hell, and I'm not going to take this anymore!" In the clip, Peter Finch rails against the public which has been dumbed down by television and don't read books or newspapers any longer. Sound familiar? Television is not the truth Finch tells us. "It's a goddamn amusement park." TV will tells us anything we want to hear and it will lie to deliver. Combine that with the rest of the media business's insanity and the our fixation with celebutards and the world depicted in the recent movie Idiocracy seems completely plausible. We're firm believers in that if you're going to devote your life to something, even something as "banal" as advertising, you should commit. Let yourself go. Fall in love with it. Learn it inside and out. After reading Adland over the weekend, we're thinking, here's a book that finally lets you do that. 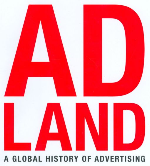 It's really hard to find a book on advertising that doesn't come off as worshipful and jam-packed with debauched ad men and images of half-naked women, or overly critical and almost caustic. These are all attempts to simplify the profession and shove it into a box it doesn't really belong in. We get a sense that author Mark Tungate has as much of a love/hate relationship with advertising as anybody. Without ignoring or embellishing those feelings, he examines the industry as a chartable landscape with a unique history. 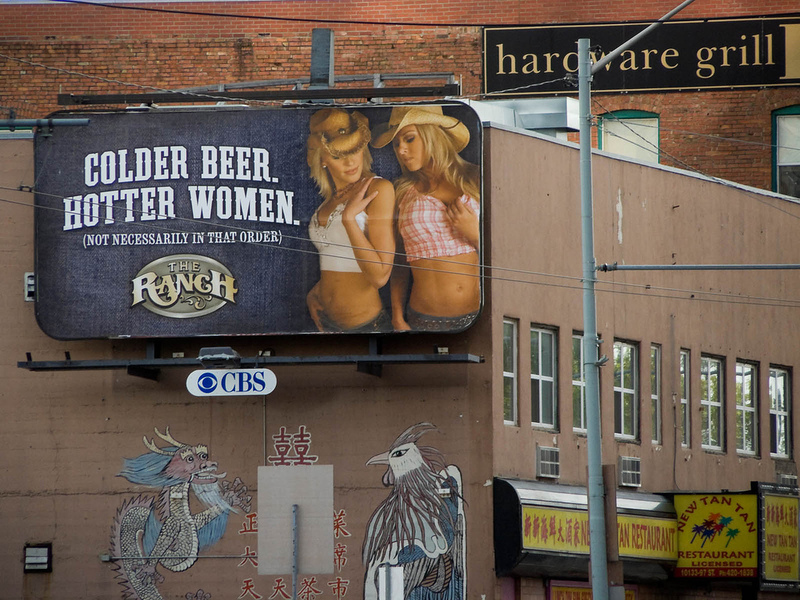 Who says advertising objectifies women? Certainly not The Ranch which is very kind to women keeping them nice and hot as opposed to letting them get cold like the beer they serve. How compassionate. How understanding. How forward thinking. How evolved! This objectification of women is just a bunch of hogwash (as I guess people who'd go to The Ranch would say), right?